Transform any of your lenses into cinema-ready optics with this Lens Gear from ZEISS. 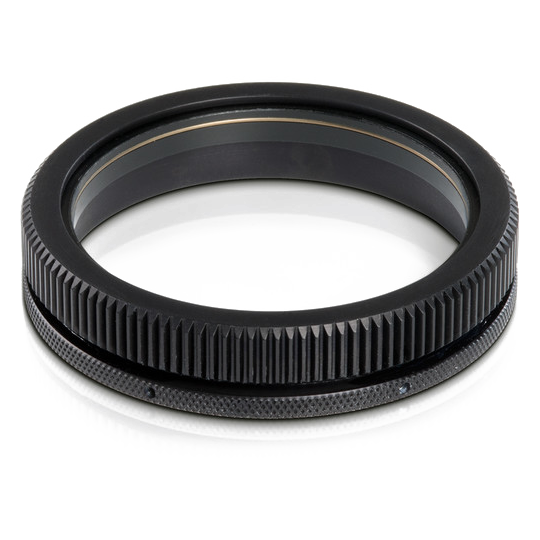 Designed to slide onto lenses, this ring allows you to easily equip a lens with an industry-standard 0.8 Mod gear that will enable to use of a follow focus system for smooth, deliberate focus pulls. It attaches quickly and without the use of any tools thanks to a twist-tightening mechanism. A rubber-covered GumGum is included as well, which can allow users to fit the gear on smaller diameter barrels in addition to protecting the lens' focusing ring from scratches and other damage. Additionally, this piece of equipment is very durable, featuring a lightweight aluminum construction with a hardened surface coating.